We arrived back on the Island about 2 weeks ago and are deep into pitching, disseminating, selling, and packing. Need anything? We are sizing down, a challenging process. I love clouds. There is something mystical or restorative about them. The Winter this year has been a challenge as it has been for many on the Island and beyond. It keeps plugging along with snow continuously piling up more snow. Time for a review of my favorite Winter images. Full of raw weather, perhaps blah, or boring, Winter on the Island does allow time to review opportunities, plan, and think about how pieces fit together. Those elements can be interesting. In the English tradition today is known as "Boxing Day". It grew from a tradition of employers giving staff gifts of food etc. It seems a good time to catch up with you followers of island mettle. 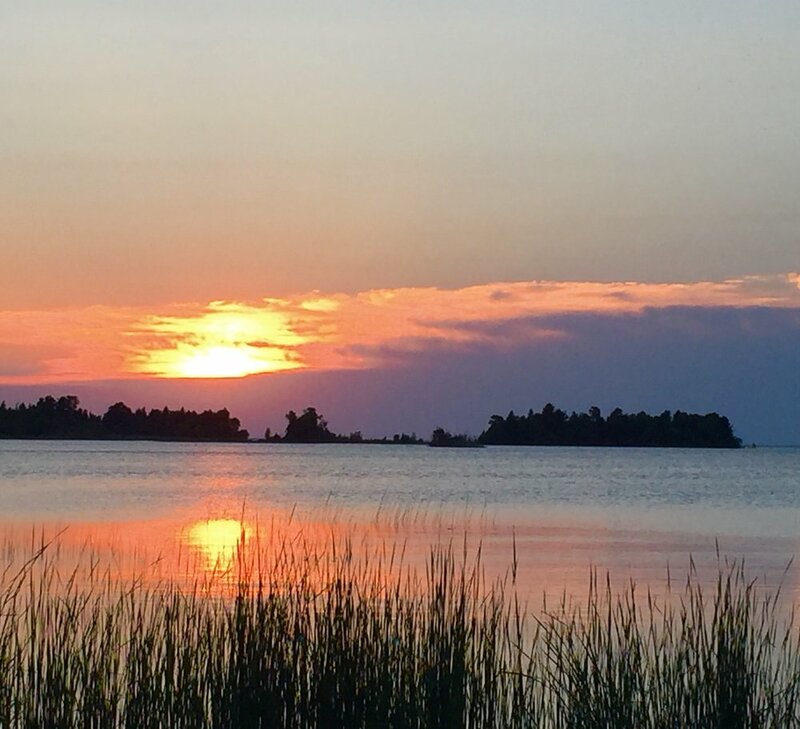 It’s a good time to share some of the holiday happenings on Washington Island this past month. Our three year in-the-making trip has come to an end but the memories will continue. Traveling for Lew and Deb often means water and lots of it. Some of that water was in its accustomed place and some was not. Travel around water also means boats, lots of them. In line with our love of boats on Washington Island, on this trip we found similarities and small world stories, too! Peaceful and bright, that was Tuesday. I had to get out and enjoy this respite from the rainy days we have had lately. Main Road never disappoints. I aways love the view from the patio at the Trueblood Performing Arts Center The aura around the place is sparkling this week. Where has the time gone? Summer on the Island was amazing but somehow the time managed to move along and I barely kept up. Some summers are like that. Had a few things to do and no time to fit a blog into the scheme. Perhaps others can relate. There is no perfect time to resume so I am jumping in while I can! A usual thing, a typical thing happened last week and it seemed a good time to comment. It’s called the weather. Pulled up at Northport and it was a beautiful afternoon. The clouds had been amazing all week. Captain Con took my ticket as we discussed the weather. His comment regarding the weather? A wary, “at the moment”. Of course, he was right. It never ceases to amaze me how quick the wind can switch and the waves can build. We can start off with clear weather and by the time we cross Death’s Door The scene is totally different. However, one thing doesn’t change. Being on the Island in the rain is better than a sunny day away. There are things to do. Boats to check. Bumpers have a totally different meaning when one is around boats. I guess I should call them fenders. To me, the time I call Bumper Season is that time before and after The Season. That time when things get done. Right now, it means time to trench and install the new power cord across Plum Island. In that other Bumper Season, this past June, the power cable which runs underwater from the mainland at Northport had a bit of a break. That cable had been down there for a good amount of time and these things have a “shelf life”. So the Washington Island Electric Co-Op marshaled their forces and brought in the right people/companies to get a temporary fix in place prior to the start of The Season. Whew! A permanent fix was then developed. Curious? Yes, we all are. Appreciative, too! I can’t begin to explain the coordination of people, agencies, and materials it took but the time has come to start the replacement phase which will include trenching across Plum Island to run this cable over land yet underground part of the way as the new cable finds it way to the Island before Winter sets in. A big Thank You to everyone who has made this change possible. This rainbow made its appearance last week as some of the materials were delivered on Plum. Let’s hope Mother Nature isn’t too changeable and this image will symbolize weather that allows this process to happen as smoothly as it can. On the Island, Life continues to move along. Normal timely things are happening. Like cleaning out garages, closets, and basements to contribute items for the Washington Island School Rummage Sale coming up this weekend. No clothing please. Save them for the annual clothing sale at Trinity Church at the end of October. Books? Media? Collections are being weeded to make room for Winter reads. The Art & Nature Center will prep this Friday afternoon for their sale and folks can shop as they drop off donations on Friday or come into the ANC this Saturday morning to satisfy their reading habit. I see Monday was National Consigment Day which reminds me Anna at Island Style is having a $5 bundle sale as she prepares for her season closing October 15. Oh, and we are selling our house here on the Island. I guess that is part of the reason the Summer got away from me!. So, if anyone is interested, give me a ring. No, we are not leaving totally. Just want to return to a seasonal renting status so we can continue to enjoy Life here, hopefully at a different pace. The clock is ticking! 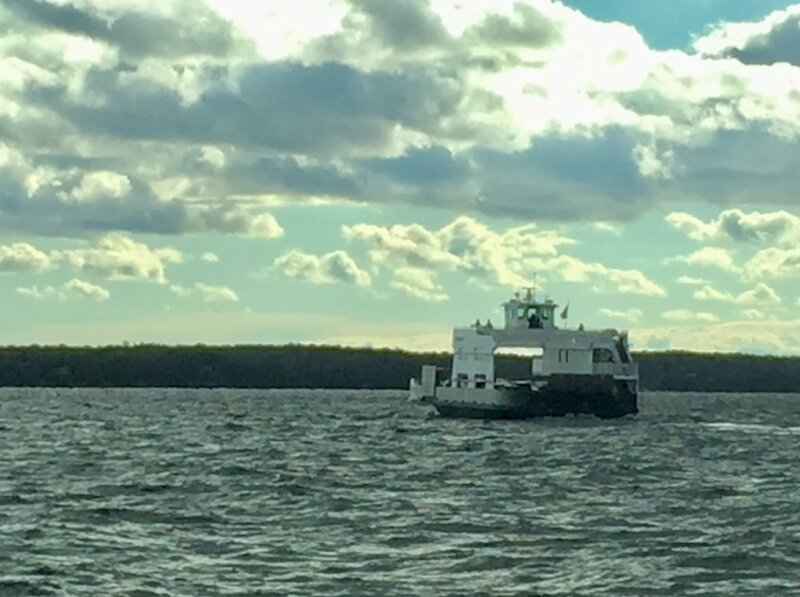 At this writing, 8 slots remain available to sign up for the Washington Islands Birding Festival of the entire weekend including transportation to the islands of Plum and Rock. I thought I would share some examples of birds viewed in past years around that same time. as well as speak to some of the projected activities. Take a look! My feelings on the importance of taking time to observe the small things in Nature were validated the other day when I found these shells The shells started me thinking. One thing led to another. People always wonder what happens on the Island in the Winter. Even though Winter officially ended over a week ago, it is taking its time vacating the Island and the surrounding waters. It seems to be a habit for this season. 2017 has come and gone. As I take a breath and prepare to hit the road for warmer climes, I have had time today to review the past year’s posts made here and on Facebook to see what was liked and appreciated last year. It was winter solstice yesterday - the shortest day and the longest night of the year. The day I last posted, I noticed the clouds. Had been noticing the sky in that last post. However, those clouds were becoming a bigger thing. The clouds had to wait, until now. As November has come on, weather has been both brilliant and dismal. Clouds have been a constant...pretty impressive, too. October has come and gone. It's history. The colors live on and are worth recording. Whether on the Island or on the peninsula, Autumn hit it's prime in October. It is truly amazing what can be done in approximately a 10 day span and that includes weather and weekend interruptions! Plum Island is lucky to have such a talented group with such widespread skills making this project happen. What a team! Moving Along on Plum Island! There has been increased activity this past week on Plum Island and Lew's photos are too good not to share. Well, things are up and running New places and the old, familiar ones, too. Whew! Nice to see the Island humming along. Am touching on a few events and items here. More to come as new posts occur. Busy at Northport? Yes! But then as I thought about the date, I realized the trips increase this weekend to the Summer Schedule. That's boats running every 30 minutes, some 20+ roundtrips. Two more night trips will be added this Friday, too. I also remembered one crew member we have come to know will not be returning this weekend. There was a Graduation on Washington Island and as often happens, the whole Island turned out! While many parts would be found in graduations across the nation, I found one event at this Graduation unique. This week has gone quickly! The signs of Spring and Summer are evermore evident. For me, it is in the shades of green I see on my daily walks. There are other things which indicate we have turned a corner and made it to June. Yes, it's June!